Are you a business owner in MD or DC that needs to install or repair your garage doors? King Door and Lock Maryland and DC, trusted and known in the area, provides commercial garage door installation and repair services for businesses, stores, and other commercial properties. 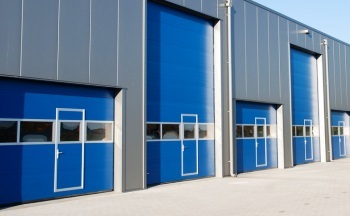 Offering a wide variety of elegant and durable commercial garage doors and expert technicians specializing in garage door installation, King Door and Lock will install your doors with the highest security considerations. Our specialists have at least 5 years of experience in door installation and repair and will provide up front pricing. Our fast and friendly commercial garage door installation and repair specialists will bring all the necessary tools and equipment to remove, repair, or install a new high quality garage door. Our staff and technicians want to answer your questions and address your needs by providing the best and most secure commercial products for your business. We pride ourselves on customer satisfaction and quality workmanship. Have confidence that our commercial garage door installation and repair services will secure and protect your business from intrusion. Our doors are easy to operate and if you have a problem, King Door and Lock provides fast and friendly, emergency garage door services in MD and DC for your convenience. We can install, repair, and replace any garage door hardware that you may need or that may be causing a problem. No job is too small or too large. Serving Maryland, DC and surrounding areas with highly trained, expert technicians, and friendly staff, we specialize in commercial garage door installation and repairs. King Door and Lock can help secure your business or store with commercial garages to put your mind at rest and help you sleep better at night. Our fast and friendly technicians will be there for you anytime day or night. Our doors are of the highest quality and our installation standards earn high rating. We offer up front pricing and honest high quality services. Our customers are our highest priority. We take pride in our work and our products. King Door and Lock Maryland and DC offers commercial garage door installation and repair to businesses and stores. We offer fast and friendly service, 24/7 door services, and up front pricing. Our technicians are experienced, well trained, honest professionals with your safety and well-being at the heart of our services. Known for security, King Door and Lock is the company trusted and experienced as garage door specialists and offering an unbeatable selection of durable, beautifully designed commercial garage doors to choose from. We also service and repair your existing commercial garage door with high quality garage door hardware. Feel free to call for an inspection, free estimate, or to discuss installing a new commercial garage door for your business, store, or commercial building. Commercial Garage Door Installation and Repair https://kingdoorandlock.com/commercial-garage-door-installation-and-repair/ 3.9/5 based upon 29 reviews.